CITIZENS OF HUMANITY (CoH) has been at the top of the game since they first launched. As a pioneer of premium, USA-made denim, CoH fresh, timeless styles make them one of the most popular brands ever. Today, the brand continues to set the bar for the industry with a new business model. With the new initiative, CITIZENS OF HUMANITY has brought attention in sustainability and innovation. They do this by working prototypes till they are perfected and sent off to be cut by machines to minimize waste. The ethos is carried over to the wash process. CoH is one of the first brands to introduce lasers into their design process, bringing more precision to their distressing. This — along with the addition of ozone washing — helps bring their global footprint down while bringing the jeans you love to life. You can say they are one of the trendsetters in the industry with their production and style. Their most popular fit in a distressed blue that feels and looks lived in. The Charlotte is a classic fit that will never go out of style and comes in this amazing wash that will go with everything in your closet. The fit that started the rise of vintage modern. It now comes in a darker wash that still carries the same lived in vintage allure as the styles before. These are an easier take on a classic cut. The cut is well balanced, making them slimming and suitable for all body types. These will become your new off-duty jeans. They are easy and feature a removed back pocket to give a more lived in feel. These will become your new favorite black jeans. Inspired by the 90s with a more fitted silhouette that will look great dressed up or down. Who doesn’t love some exposed button fly detailing. It gives just the right amount of free spirit to what you choose to style them with. The straight leg style that anyone can wear. They are balanced all the way down to the leg that will be flattering on even the curviest of women. The black jeans that have put all other black jeans to shame. They have stretch for comfort and a deep black that will never fade. 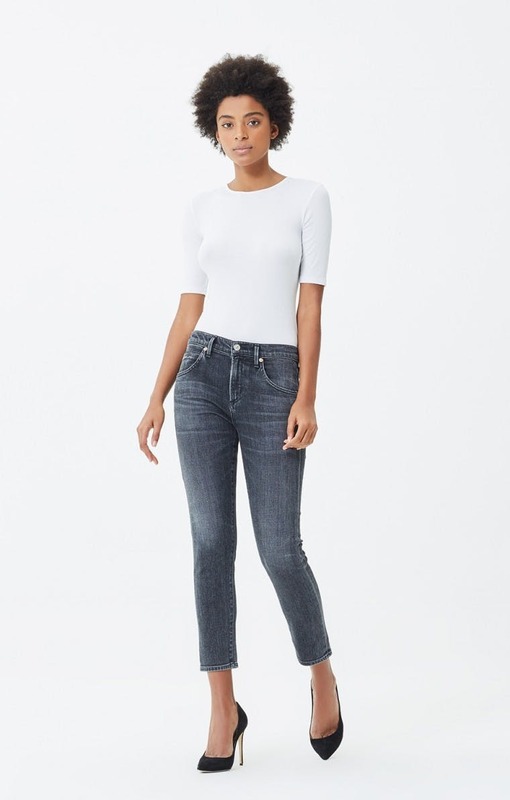 Citizen of Humanity Jeans are true to size when you purchase them. The only draw back some people have reported is that after wear, they tend to stretch out some because they are stretchy jeans.